Mental health conditions do not discriminate based on race, color, gender or identity. Anyone can experience the challenges of mental illness regardless of their background. However, background and identity can make access to mental health treatment much more difficult. 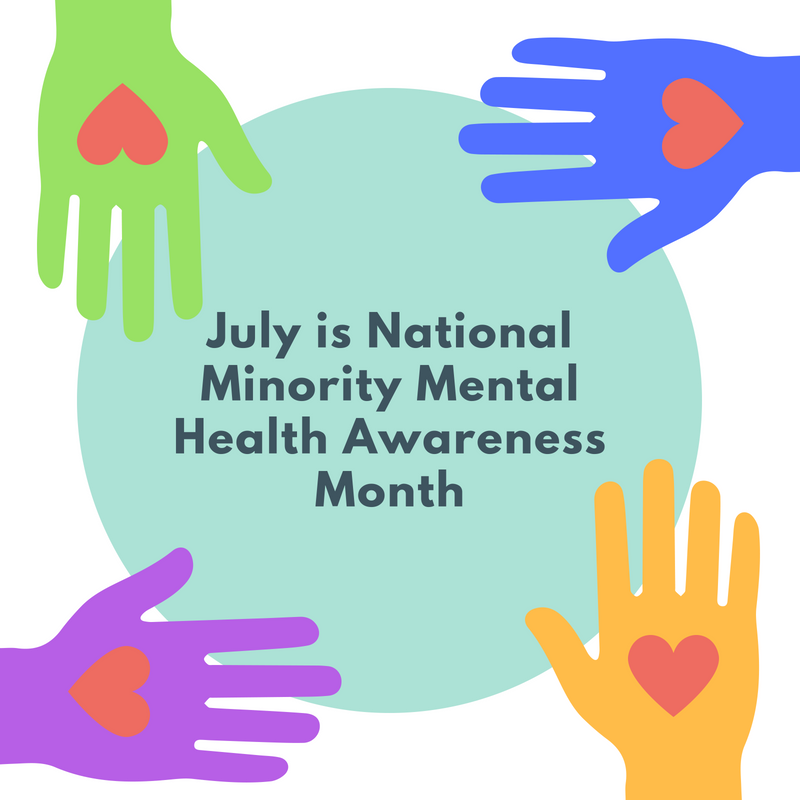 July is National Minority Mental Health Awareness Month and the month offers organizations an opportunity to create mental health awareness in diverse communities. In May of 2008, the US House of Representatives announced July as Bebe Moore Campbell National Minority Mental Health Awareness Month. The resolution was sponsored by Rep. Albert Wynn and cosponsored by a large bipartisan group to improve access to mental health treatment and services and promote public awareness of mental illness. Bebe Moore Campbell was an author, advocate, co-founder of NAMI Urban Los Angeles and national spokesperson, who lost her battle with cancer in November 2006. America’s entire mental health system needs improvement, including when it comes to serving marginalized communities. With all of our help, we hope this month brings awareness to this issue.